There isn’t any festival quite like Big Dub. And over the years it has developed its own culture, a loving family of devoted attendees, and a strong union with its home at Four Quarters Interfaith Sanctuary. Many of you may be curious about what Four Quarters is, what they do, and what they represent as a church; newcomers to Big Dub often ask us about the history of the Stone Circle, the altars around venue, or the operation of Four Quarters as an Interfaith Sanctuary and what that means, and we love to teach people all about this wonderful place that Big Dub calls home. Four Quarters is not only home to many people who live there year-round, it is also an Interfaith Sanctuary and a church for its members. The forest rests at the spiritual center for the inhabitants at Four Quarters. 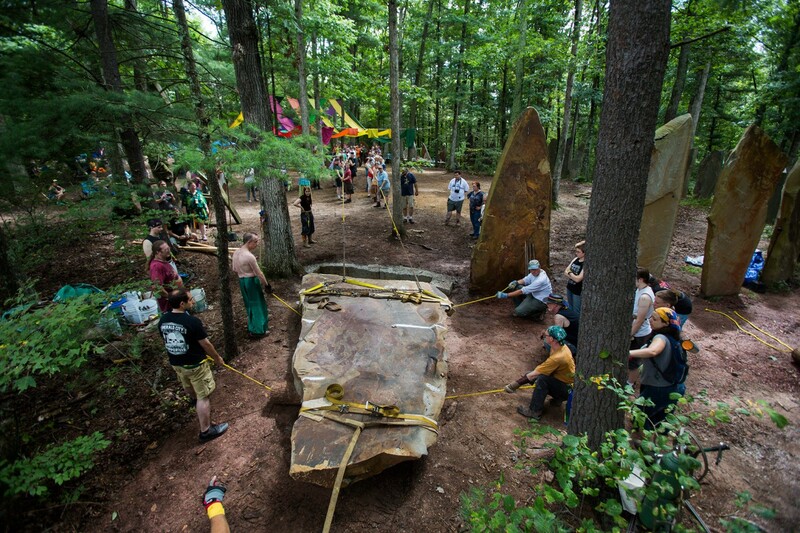 While the closest thing to a physical church is the hand raised Standing Stones along with many beautiful altars scattered across the grounds, 4Q members consider the land itself to be the church and the focus of worship for its members. Since Four Quarters became incorporated as a non-profit church in 1995, it has served as a sanctuary for practitioners of earth-based religions however, “The reality is that any open-minded person of any faith is welcome at Four Quarters”, says Four Quarters member Sophia Schultz. Those who call Four Quarters their home year round have truly built it from the ground up and have graciously opened it up to seasonal visitors; “The people living at Four Quarters are some of the most determined, hardest-working people you will ever meet.”, stated Schultz, “Over the years—with the help of many volunteers—they have taken this land, a piece of overgrown, heavily-forested real estate—and brought forth what you see today: space for vendors, bunk houses, shower houses, running water, the Coffee Dragon, the Pavilion, and of course the Stone Circle. Think about it: there were no outside contractors—we built this ourselves.” With that in mind, Big Dub prides itself on treating the Land and its people with the respect and care it rightfully deserves. No festival grounds are as sacred and as loving as Four Quarters and the Big Dub community intends to keep it that way. 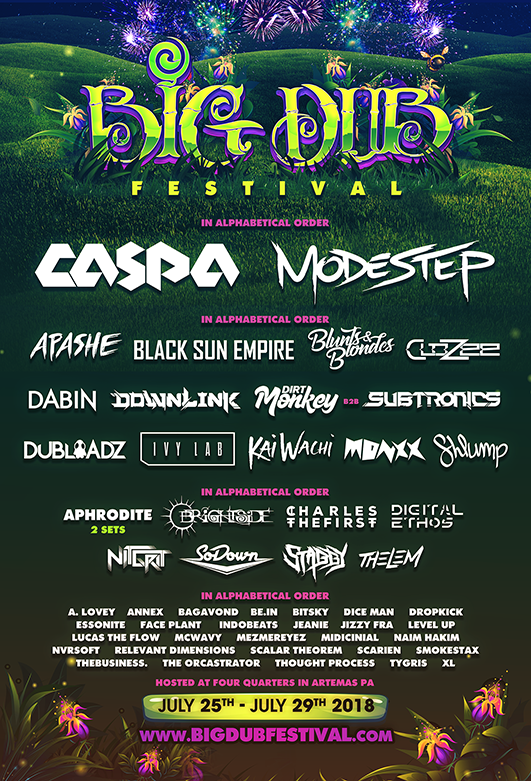 Following in line with the philosophy of Four Quarters, Big Dub is an Eco-conscious festival centered on self-reliance and preservation of the land and its delicate ecosystem; this means leaving no trace of our stay, practicing sustainability, and leaving the grounds the same or better than when we arrive. Likewise, these principles regarding how we treat the land translate into mutual love and respect to those we encounter. Ultimately, we believe we are inextricably intertwined with nature and all life and we reflect those values in our flagship festival that is Big Dub. Learn more about Four Quarters and their mission on their website. 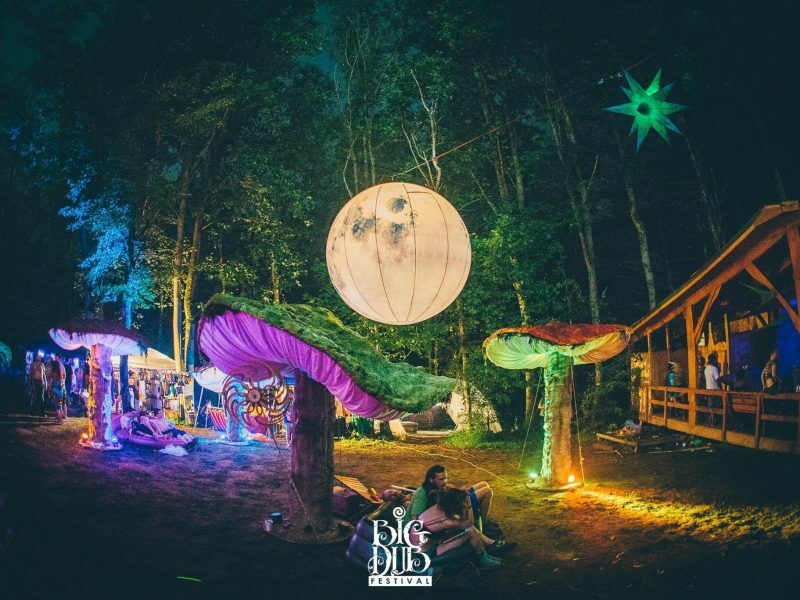 We invite you to explore the beautiful land yourself, take a dip in the natural springs, try some of Four Quarters homemade mead and soak up the sunshine Jul 25th-29th at Big Dub-the biggest Dub there is! RSVP to the event here.